The euro was slightly increasing in value against the US dollar today, trading at 1.4368 as of around 11:30 A.M., GMT. The EU’s single currency is up 0.077% on the day and has reached a session high of 1.4418 with a low of 1.4330 so far. 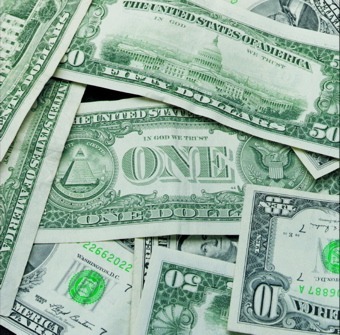 The dollar continues to be weakened by the ongoing U.S. Debt crisis. Democrats and Republicans have still failed to reach an agreement to raise the debt ceiling a few days before the August 2nd deadline. U.S. lawmakers tried again on Sunday to reach an agreement without any success. Experts have already warned that failure to reach a solution to raising the US debt ceiling could have a negative impact on the economy and global markets. “Given the enormous impact to financial markets that would result from a US default, the most likely scenario is that Washington will succeed in avoiding it at the last minute. But the fear persists,” said Sumino Kamei, an analyst at Mitsubishi UFJ. “It is unthinkable that our country does not honor its obligations on time,” also reiterated Treasury Secretary Timothy Geithner on CNN Sunday. The situation in Washington is observed closely by market participants and rating agencies, which threatened to downwardly revise their assessment of U.S. debt. According to Daisuke Uno of Sumitomo Mitsui Banking Corp, the dollar should in any case remain in decline against major currencies even if an agreement is reached, since it does not change the current reality: an increase in U.S. debt.